How can archives be activists? 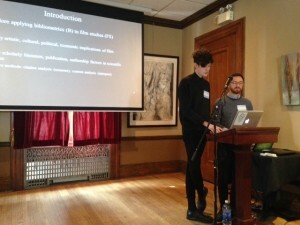 What archival institutions are already being activists? 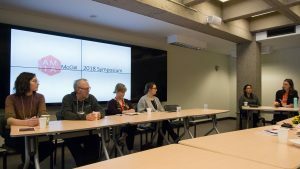 These were the most basic questions of the 2018 ACA Colloquium on Friday, March 16. The answers came from Katherine Kasirer of the National Film Board of Canada (NFB); Camille Callison—a member of the Tsesk iye clan of the Tahlatan Nation, Indigenous Services Librarian at the University of Manitoba, and member of the NFB Indigenous Advisory Board; Beth Greenhorn of Library and Archives Canada (LAC), and François Dansereau, archivist for the McGill University Health Centre (MUHC). Katherine and Camille gave a joint presentation, with Camille joining via video link, on decolonizing and indigenizing subject access to the NFB indigenous collection. The effort is part of a three year plan in the wake of the Truth and Reconciliation Committee’s report and includes over 33 action to transform the NFB, redefine its relationship with the indigenous peoples it has historically viewed through a European lens, and to re-write their descriptions to meet today’s standards. A large part of this is a new indigenous cinema page, which employs the Brian Deer Classification System and uses tribes and nations names for themselves. 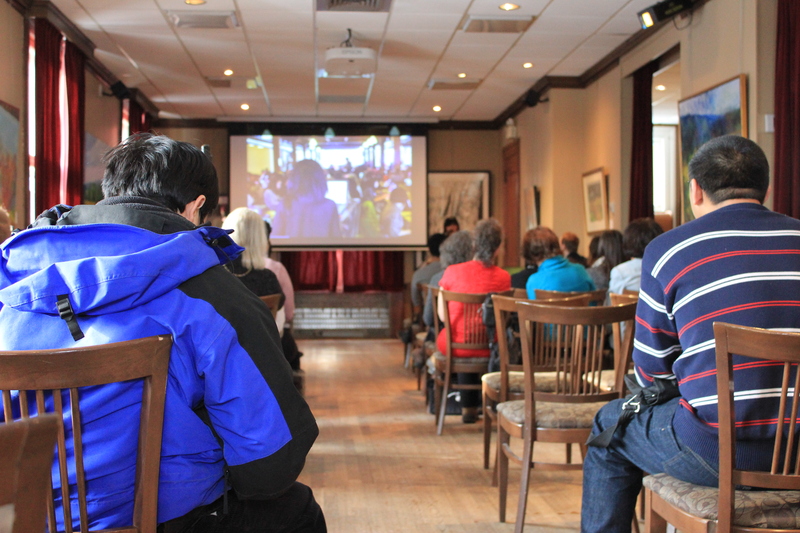 The NFB would like to eventual decolonize the entire “ethnographic” film collection. Beth Greenhorn spoke of her long-time involvement with Project Naming, LAC’s effort to correct the historical record and past wrongs in relation to images of indigenous peoples. The project started with a collection of 500 photos of people from what is now Nunavut and has grown from there to include pictures of people from a variety First Nations, Inuit, and Métis groups. Once photos are identified through events in communities or in Ottawa, through social media, through the LAC website, or through the “Do you know your elders?” series that has been run in Nunavut newspapers, new caption are made for the photos. A general caption is kept, and information on the person or people in the photo is added in brackets. The LAC is also currently working to change location information to indigenous names, though they are retaining the English names from the time the photos were taken for the historical record. Finally, the materials can be made available to communities to tell their own stories. Social tagging and transcription tools should be available soon. 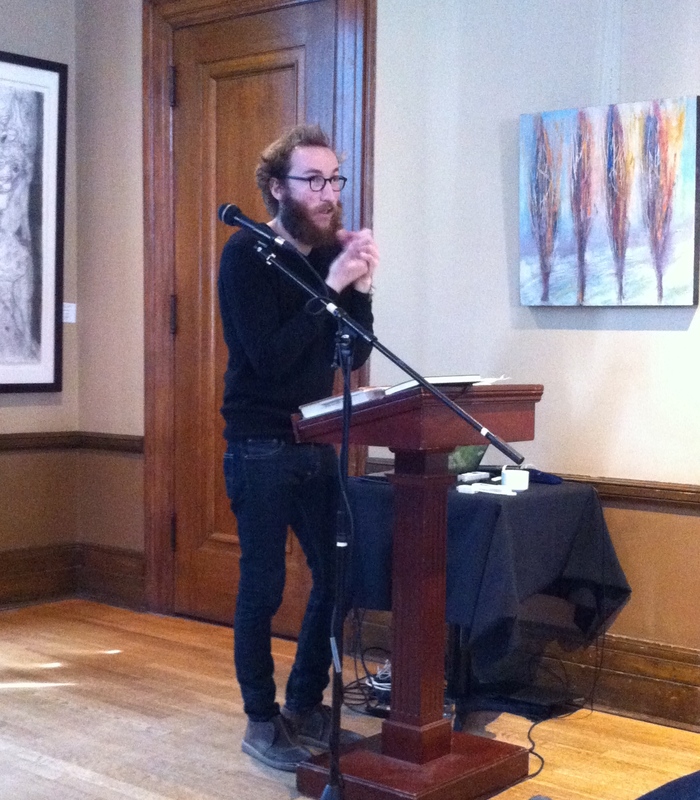 The end of the colloquium brought François Dansereau and his presentation “Power Dynamic and Institutional Archives: Masculine Authority and the Modern Hospital”, which looked at the representation of women in the MUHC archives. Women were drastically under represented in the hospital archive; often the only early appearances were nurses and nuns in group pictures with male doctors. This changed as time went on, with women appearing more alone and using technology as nurses, technicians, and doctors, but still at a lower rate than male doctors. How do you solve the problem? For existing archives the role of women needs to be highlighted; for materials to be added records from women must be taken as well. 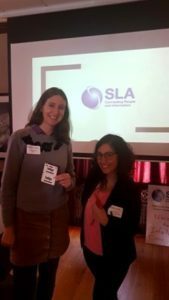 Published by Coady Sidley on March 20, 2018 at 9:00 am under Information Professionals, SIS Events. 0 comments. 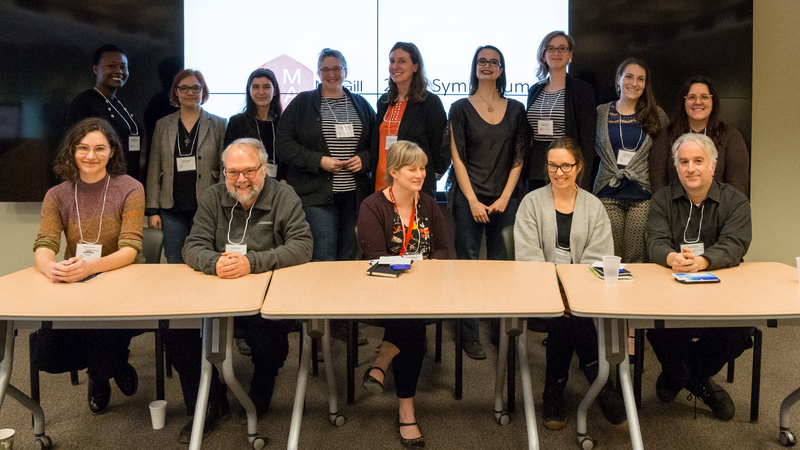 Student presenters, professional panel, and AMIA exec. The student chapter of the Association of Moving Image Archivists held their annual symposium this past Friday. 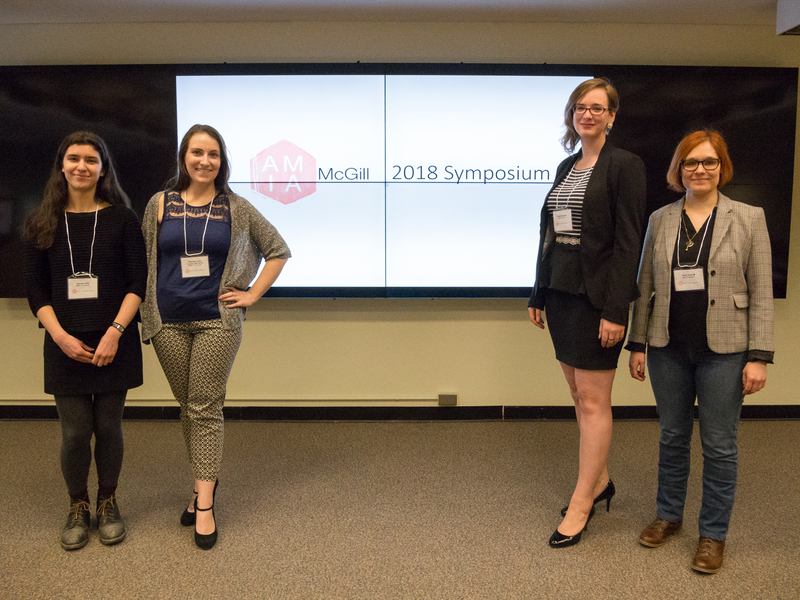 It featured presentations of current and recent projects by SIS students, as well as a panel discussion with several information professionals working in the audiovisual archival field. Our first presenter was Sarah Lake, with “Transitioning to the Cloud: Giving Access to Oral Histories”. 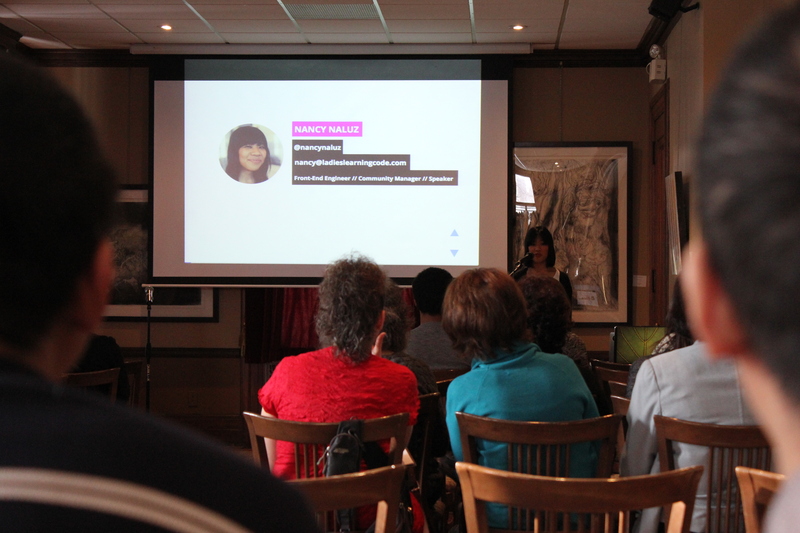 Sarah spoke about her experiences working at Concordia’s Centre for Oral History and Digital Storytelling; in particular, about the challenges of migrating a large project from hard drive to cloud storage. Sarah spoke about the workflow involved in this process, as well as best practices for future maintenance of the collection and long-term preservation planning. Next, Kat Barrette spoke on “Mapping Past and Present: Special Collections and Public Outreach”, an overview of engaging the public with material from special collections, in this case maps and photographs. She worked on creating a series of workshops for high school students at LaurenHill Academy using History Pin, an open source web program that lets users pin JPEGs to maps, showing photographs from the past overlaid on current locations. She shared the steps involved in organizing a project like this, as well as recommendations drawn from her experience to make the process go as smoothly as possible. Albe Guiral then presented “From a Mouldy Box to Internet Sensation: The Photographs of the Fonds de l’Aqueduc at the Archives of the City of Montreal”. While working at the archive Albe was involved in digitizing and sharing with the public a collection of glass-plate photographs, and took us through the whole archival process, with a focus on preservation and outreach. She She spoke of the challenges involved in cleaning and scanning such delicate photographs, as well as best practices for dealing with contaminated materials. She also explained the process of digitally restoring them and sharing with the public on social media. Finally, Rachel Black presented “Preserving Memory: Personal Archive Creation and Management”. Rachel has been working on creating a family archive of photographs, documents, and physical objects, and shared with us some of the lessons learned from this experience. She explained the process from beginning to end, focusing on the importance of planning the workflow of a project like this. she also spoke about the importance of preservation planning and records management in maintaining a personal archive. Our panel opened by telling us about themselves and their current jobs. They took us through a typical day of work, the consensus being that there is really no such thing as an information professional. 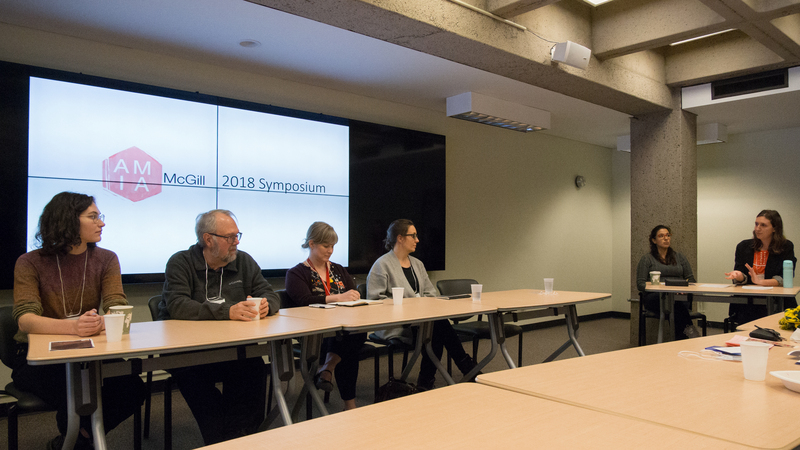 We then discussed the challenges of working with both analog and digital archival materials, and some of the current projects our professional panel members are working on. Opening the floor to questions from the audience, our panel spoke about their educational backgrounds and gave advice to current students, speaking about useful skills and knowledge to acquire during the program. The most common advice was to try and take a bit of everything in order to have a well-rounded skillset – and you never know what might turn out to be an area of interest! Finally, our panel gave us the names some free resources for audiovisual archiving. There are may free webinars available and a lot of conferences are livestreamed online. 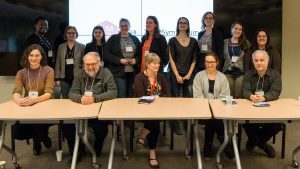 Specific resources recommended include the Digital Library Federation, where students can get involved in online work groups, the Access Tech Conference (which is livestreamed), and large libraries such as Library of Congress and BANQ. Other resources include Bay Area Video Collection, which includes a compendium of common video errors one might run across, and IASA TC-04, which provides a how-to on audio preservation. Finally, Project Naming, which works with identifying indigenous peoples in photographs and then restores those photographs to the communities in which they were taken. 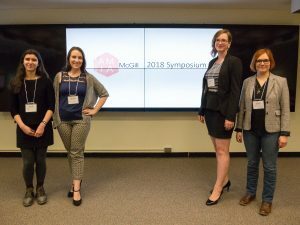 Sarah is in charge of the McGill digilab, overseeing the digitization of rare books and documents, as well as the creation of digital exhibits of images and 3D objects. Melissa is responsible for the sound and audiovisual collections at the Marvin Duchow Music Library. This includes accession, preservation, and digitization of various materials. Louis founded Archive Montreal, which houses sound, audiovisual, and various ephemeral materials, mostly dating back to the 1960s. They perform digitization of images, graphic material, sound and moving image in-house in an effort to preserve Montreal’s underground culture. Molly co-founded the multimedia archive of the Maagdenhuis occupation, now housed in the Amsterdam City Archive (Amsterdam Stadsarcheif). She also organized Westmount Library’s first Home Movie Day. Gordie is the former senior archivist at McGill. He still teaches courses at SIS, and is the AMIA Faculty Rep. 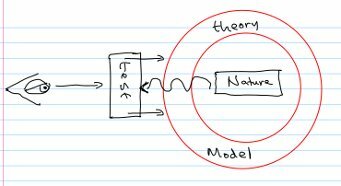 Published by Coady Sidley on February 21, 2018 at 1:57 pm under Conferences, Information Professionals, SIS Events. 0 comments. 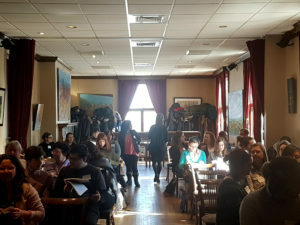 At SIS it can feel like different events are only for people interested in one of libraries, archives, KM, or ICT, be it a 5 à 7, a tour, a workshop, or a webinar. InfoNexus, is the event that has something for SIS students of every interest. 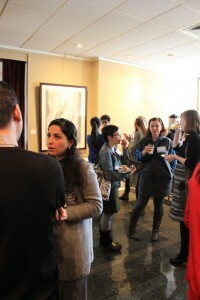 It is also a great way to hear about skills you need but may not learn at SIS and offers a chance to network. 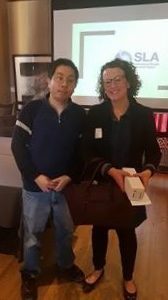 Info Nexus began with a presentation from the new archivist for Bell Canada and gave a look into being the lone archivist for one of Canada’s largest companies. From cataloguing documents, photos, and items and putting all the information from the paper master cards created until 1980 into the digital catalogue to helping researchers and gathering items and information for exhibitions, displays, and publication, Janie Théorêt does it all. Théoret also showed how far we still have to go in the world of digital curation, as Bell does not save it’s digital advertisements, only the print ones. Presenter and SIS PhD student Vera Granikov detailed what it is to be a research-embedded health information specialist, a path she said she likely wouldn’t have found herself on were it not for her practicum. Granikov says her job, and the jobs many SIS students may have in the future, doesn’t fit neatly into one category of librarian, archivist, or knowledge manager. For example, while she conducts searches and literature reviews, Granikov is also part of the research team from the moment an idea is found through applying for funding to publication. Melissa Rivosecchi was the first librarian of the day, and brought lessons for aspiring academic librarians (or soon to be graduates in general). Rivosecchi emphasised the need to get experience outside classes, both to build your CV and gain skills needed to the do the job. 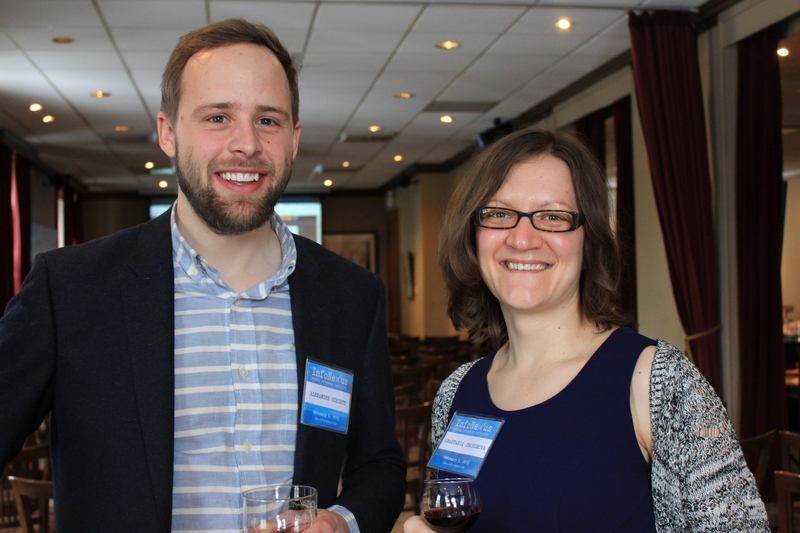 Rivosecchi was also another testament to applying to jobs outside your academic background: she’s a business librarian with no business background, but worked as a Concordia Student librarian and answered questions from just about every field imaginable while doing so. Rivosecchi also gave a healthy dose of reality as she’s on contract, rather than tenure track. Cat Henderson, who graduated from SIS only last year, focused on the importance of networking and experience outside of class. She got her job because of a person she met at a conference and has discovered the odd skills and facts you know, from reading music to technical knowledge and even customer service, can make all the difference. Henderson also emphasized that you will learn on the job, and you’ll need to stay involved in associations and reading publications so you are both aware of evolving trends and, if you are the only information professional in your organization, don’t feel alone. Ted Strauss brought in perspective from outside those with a degree in library or information studies but who holds a similar job function. Strauss was also the speaker for the ICT-interested. As a data resources manager he in involved in the entire lifecycle of data storage, evaluates open source software to find what may work best, and supports researching in using that software. Adrienne Smith works in Ubisoft’s KM group as a taxonomist, and holds the dream job for anyone frustrated by websites and their search functions. For Smith “translating” what different stakeholders say so everyone understands each other in incredibly important; it makes sure everyone knows what is wanted and what has already been done. Smith also emphasized that sometimes you just have to do something if no one else is to get it done and that the user experience is most important. Finally, Tomasz Neugebauer bridged the worlds of archives, libraries, and ICT with his presentation on open source resources, the need for digital preservation, and aggregating services to make things better. For Neugebauer, having some computer science background is a great asset, if not essential in finding a job and, in his job, effectively doing that job. Overall, all presenters stressed skills you simply won’t gain at SIS and the need to find out what are considered the essentials to know for what you want to do by looking at job postings and attending conferences, then going out and gaining those proficiencies. Published by Coady Sidley on February 10, 2018 at 12:23 pm under Conferences, SIS Events. 0 comments. Published by juliabjerke on February 18, 2015 at 5:30 pm under Conferences, SIS Events. 0 comments. EVERYONE GO TO THE SOCIAL ON THURSDAY NIGHT. TICKETS ON SALE IN CLASS NOW BUT PROBABLY ALSO AT THE DOOR. $5! IL MOTORE! AWESOME O’CLOCK. 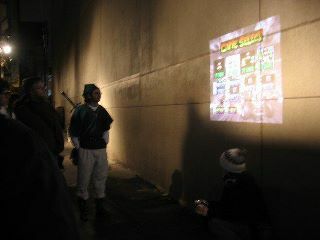 Published by Emily Upper on October 17, 2011 at 12:15 pm under SIS Events. 0 comments.